Being a tourist in your own town can be an eye-opening experience, especially when you partake in a whirlwind three-day Golf Familiarization Trip in your home town of Milwaukee, Wisconsin. 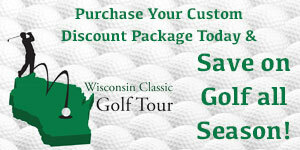 Honesty is always the best policy so I will admit to being 100% biased when it comes to the Wisconsin golf scene. Fortunately for me the national media outlets such as Links Magazine and Golf Channel have begun to echo my sentiments in recent years. In fact, both have ranked The Badger State in the Top-10 in terms of golf-important states. 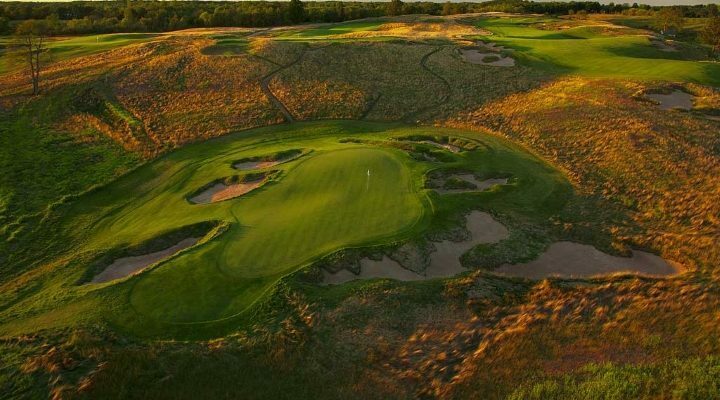 One such reason for this growth spurt is the rise of Erin Hills, the #8 rated public course in the nation according to Golfweek and host of the upcoming 2017 U.S. Open. The week of June 12-18, 2017 will mark the first time the USGA’s pinnacle championship will be contested in Wisconsin, adding to the recent string of PGA Championships hosted by Whistling Straits in nearby Sheboygan, Wisconsin. “Erin Hills is very proud to host the first U.S. Open to be played in Wisconsin, a state that has burst onto the international golf scene recently,” began John Morrissett, Competitions Director at Erin Hills. “The championship will be good for golfers and non-golfers in the Badger State. For example, the economic impact on the region will likely be over $130 million. In many ways, the telecast of the championship around the world will be a week-long commercial for Wisconsin; it’s great (and almost surreal) to think that people all over the world will learn about Wisconsin’s Kettle Moraine and Holy Hill,” concluded Morrissett. On a beautiful early June day our media group experienced Erin Hills the way it should – firm, fast, big and brawny. The behemoth layout, which can be stretched to over 8,100 yards, is highlighted by fescue grass fairways and a minimalist approach to championship golf. Amazingly, dirt only had to be moved on four of the 18 holes by the design team of Michael Hurzdan, Dana Fry, and Ron Whitten. The design acumen of this trio understood that the glacier-shaped topography of the Kettle Moraine was ideal for golf and would draw players from all corners of the globe. The golfing public first experienced Erin Hills during the 2008 U.S. Women’s Amateur Public Links Championship. Remarkably, the USGA granted the tournament to Erin Hills before it even opened to the public in the fall of 2006. Five years later, Erin Hills hosted the U.S. Amateur, won by Kelly Kraft of Southern Methodist University. It’s important to know that a trip to Erin Hills goes far beyond golf. It is a four hour plus, seven mile journey that takes golfers on a thrill ride between fescue-laden moguls, eskers, kettles, and moraines. Players must walk the course which is made exponentially easier thanks to their professional staff of caddies. Guests can also stay on site in either their main lodge or in one of five cottages, which are built for buddies trips. Add in two spectacular restaurants and one of the finest outdoor patios in all of golf, and Erin Hills is a bucket-list property that must be checked off on an annual basis. Finally, Erin Hills is perfectly located an hour and a half from Chicago, and 35 minutes from downtown Milwaukee, making it the perfect summer drive or fly destination. It’s not too often the public has the opportunity to stay and play at the site of a future U.S. Open, so MGM recommends visiting their classy website at www.erinhills.com to learn more about this iconic property – MGM promises you will not be disappointed. On day two our group traversed to The Bog in the north shore suburb of Saukville, one of only two Arnold Palmer Signature courses in the state. The Hammes family purchased the course last year and has vowed to make The Bog a Midwest destination for not only Wisconsinites but Chicagoans as well. “We have a good group of golfers that come up from Chicago to experience The Bog, and we are excited to welcome more,” stated owner Michael Hammes. “If golfers are in Wisconsin to play the Kohler courses, we welcome them to come play either on the front end or back end of their trip as we’re on the way. We are an affordable public facility and many golfers are not aware that the course was designed by Arnold Palmer and is very unique and beautiful. We will continue to make adjustments where we can, and more significant changes as necessary, while honoring and maintaining Mr. Palmer’s overall design,” explained Hammes. The 7,100 par-72 layout is a member of the National Audubon Society of Courses, and winds and weaves through wetlands, marshlands, and of course a bog. The Bog’s conditioning is immaculate, as well as their huge practice facility and outdoor dining patio. New for this year is a fire pit adjacent to the clubhouse plus an expanded lunch and dinner menu. Once on the course, pay special attention to The Bog’s outstanding collection of par-3s. The par-3 4th plays over an oasis of sand, while the 8th plays over a marsh to an island-esque putting surface. Hole No. 11 puts an 8-iron or less in your hands, but requires accuracy and smarts to play away from a deep pot bunker short and left of the green. Finally, the par-3 13th is all carry to a large green protected by bunkers and tall grass. All in all, these are four holes that could make or break your round! For more information on The Bog, visit www.golfthebog.com. Only 20 miles south of The Bog resides Brown Deer Park Golf Course, home of Greater Milwaukee Open and U.S. Bank Championship from 1995 through 2009. The spectacular parkland layout on the border of Brown Deer and Milwaukee entertained Tiger Woods’ debut in 1996 that featured his famous “Hello World” declaration and an ace in Saturday’s third round. We played the front nine (a par 34 for the tournament that Corey Pavin once navigated in 26 strokes), and couldn’t believe how even a professional golfer could make 8 birdies and a lone par on the challenging, tree-lined track. Twenty years later, Brown Deer will host year two of a three year agreement with the Symetra Tour, the official Tour Qualifying School of the LPGA. Potawatomi Casino & Hotel returns as the title sponsor of the PCH Classic. “Potawatomi gets it,” stated Chet Hendrickson, Golf Services Manager at the Milwaukee County Parks. “There probably isn’t a better partner in Milwaukee than PHC. They have all the cogs in place to make an event a success. They know how to run events, they know how to promote and they know how to throw a party. Potawatomi’s involvement in the community probably goes a little too unnoticed. They are involved in more places than can even be recognized. We are fortunate to have such a great partnership and Southeastern Wisconsin is fortunate to be the beneficiaries in so many instances,” ended Hendrickson. The 54-hole stroke play format will begin on Friday, August 19th with final-round play scheduled for Sunday, August 21st. The field will consist of 144 up-and-coming professional golfers, who will compete for their share of the $100,000 tournament purse. The winner will take home $15,000 and potentially move inside the top 10 on the Volvik Race for the Card money list. The top 10 on the year-end Volvik Race for the Card money list earn LPGA Tour membership for the 2017 season. The host of our extravaganza was Potawatomi Casino & Hotel, Milwaukee’s state-of-the-art, 250,000 square-foot casino that just added a 19 story hotel in 2014. In 2016 Potawatomi is celebrating their 25th anniversary, which is the perfect time to look back at their humble beginnings. On a cold, late-winter Thursday in Milwaukee a new era of entertainment was born in the city’s long-dormant Menomonee Valley. On March 7th, 1991, Potawatomi Bingo opened its doors to the public. As the first off-reservation operation in the country, it was a groundbreaking moment in tribal gaming. No more than a pole barn with seating for 2,500, it was the first time guests of the fledgling bingo hall would have the opportunity to take part in high-stakes gaming. A quarter-century later, Potawatomi Hotel & Casino has become Wisconsin’s most visited entertainment destination with attendance of more than 6 million annually. “We are certainly humbled with the number of guests that visit us,” stated Ryan Amundson, External Communications Manager at Potawotomi Casino & Hotel. “They are the reason we’re in business, and it’s our job to provide them a great experience each and every time they visit. Our goal is to continually improve on our service and amenities. We work hard to make sure they have a good time, come back and then tell their friends and family about us as well,” finished Amundson. Less than a decade after opening, it was evident that high-stakes gaming and the brand of entertainment Potawatomi was serving up proved popular among its guests. The original bingo hall was scheduled to come down, and in its place a state-of-the-art, 250,000-square-foot casino, complete with more gaming options, full-service dining and a live performance venue, would be built. The casino opened its doors to guests in 2000, and shortly thereafter began welcoming millions of visitors annually – making Potawatomi Bingo Casino the most visited entertainment destination in Wisconsin. Another expansion in 2008 would satisfy the sheer volume of people entertained. In tripling its size, the property added several new restaurants, a center bar, more gaming, an off-track-betting room, a poker room and tens-of-thousands of square feet in meeting space. In 2014, the property changed its name to reflect its most recent addition, a 381-room hotel. With the addition, Potawatomi Hotel & Casino became a true entertainment destination, attracting guests from a wider radius and offering them more amenities than any other casino in the region. Golf, gaming, beer, brats and baseball are all correct answers to the questions, “what are Milwaukee’s Best?” Now it’s your responsibility to experience the sights and sounds of Brew City during the summer of 2016. For a complete list of all that Milwaukee has to offer, log on to www.visitmilwaukee.org.